This week’s blog features the first in a series of videos I made back in May of 2017. 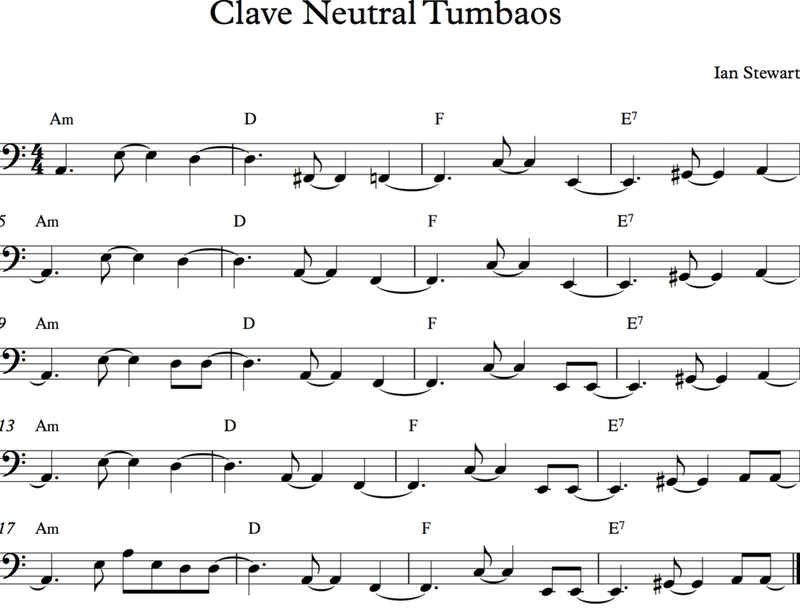 The idea was to create a mini-course about Timba basslines and their relationship to the clave, one of the primary factors that distinguish Timba tumbaos from those found in salsa. This initial example uses the same chord progression that all the other videos in this series will also use (Am D F E7), however in a distinctly non-Timba fashion. The idea is to show a more traditional son montuno bassline that is relatively void of clave alignment before diving headfirst into the more exotic world of modern Cuban bass parts. The bassline, which can be viewed in the transcription below, is mainly comprised of tresillo rhythms and mixes single and double ponches for the sake of variety. If any of these terms are unfamiliar to you, be sure to check out my book, The John Benitez Method Vol 1, more specifically the Clave Neutral Tumbaos chapter. I also highly recommend any of Kevin Moore’s Beyond Salsa Bass Series. In either source you will find more in depth descriptions of the different clave neutral bass rhythms, their names and their relationship to the conga tumbao and other percussion parts. As usual this blog entry is not meant to be a complete tutorial, just a brief demonstration of a general concept. If you’re interested in learning more, comment below or contact me directly if you have any questions or are interested in private lessons either online or in person. Happy practicing and see you on the next one!